Please send us the hotel address you are staying or the Hawaii address or the Cruise Ship Name and Pier Number. This full Pearl Harbor experience tour will take you beyond the call of duty in luxury. Begin at the Pearl Harbor Visitor’s center where you see exhibits about the Pearl Harbor attack and the history of World War II. The three museums/exhibits at the WWII Valor in the Pacific National Monument Visitor’s Center are a must-see for guests on this tour. Your tickets for the USS Arizona Memorial program are included. The program starts with a 23-minute film highlighting the historical events of the attack on Pearl Harbor. After the movie, you will board a US Navy shuttle boat for a short ride in the harbor to the Memorial, built above the sunken USS Arizona Battleship, honoring the 1,177 men still resting within. Next to the Pearl Harbor Visitor Center is the Bowfin Submarine Museum and Park. There, we will go inside the Bowfin submarine and see what life as a submariner was like. Bowfin is called the “Pearl Harbor Avenger,” a name given because she was launched on Dec 7th, 1942. The name was earned through her actions. The quarters were tight in this submarine, and you will appreciate the sacrifices sailors made when they answered the call to duty. World War II ended when the Japanese signed the surrender documents on the deck of the Battleship USS Missouri. You will visit this deck and explore beneath the decks on a guided, narrated tour. This is a highlight for many guests. Near the Battleship Missouri, we will visit the USS Oklahoma Memorial before going to the Pacific Aviation Museum. Rated one of the best aviation museums in the country. The Pacific Aviation Museum is full of planes from World War II, Korea, and Vietnam, as well as new additions that are currently in use by the United States Armed Forces. After leaving Pearl Harbor, you’ll see more of Honolulu as your guide takes you to royal grounds and historic landmarks. The statue of King Kamehameha the Great, ‘Iolani Palace, Kawaiaha‘o Church, and Punchbowl National Cemetery of the Pacific are fascinating sites that you will see from the comfort of your luxury mini-coach. Are you ready to go beyond the call to duty? 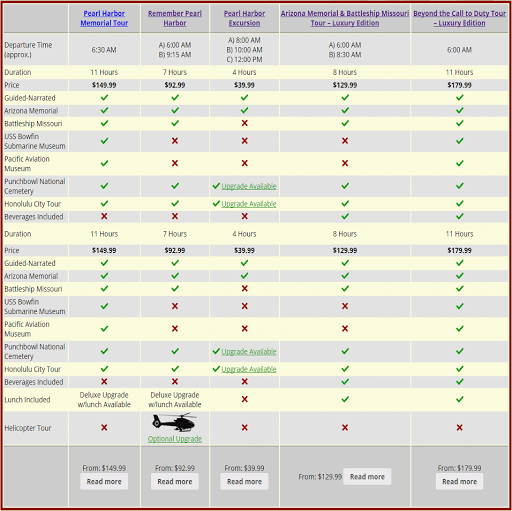 Round-trip transportation from Waikiki to Pearl Harbor. Live narration by professional tour guide. Battleship Missouri admission ($25 Value). Pacific Aviation Museum admission and guided tour ($35 value). Bowfin submarine admission ($12 value). Bottled water services and local breakfast donuts will be provided. No bags are allowed at Pearl Harbor. Oahu often has severe traffic conditions. Please be aware that delays may occur. Very informational. We would say this is a must see if visiting Oahu. Learning the history of this area and of Pearl Harbor is fascinating and important. They have some monuments all around the grounds to view and read plenty to do for half the day if not a whole day. If you go to Hawaii. Make this your first stop. This is place of great sacrifice and a must visit when in Honolulu. Visited on Dec 7, which made the experience even more poignant as a serving member of the military. A great way to learn more about local history. Time went quickly as you absorbed it all in. Historical and informative! Great to take the full tour and walk through all of the exhibits. The memorial and its grounds is an absolute must-do for anyone visiting Oahu. It provides a beautiful memorial to the military personnel and civilians lost during the attack on Pearl Harbor and a wonderful overview of some of World War II history. Through a series of storytelling through wall charts, videos, and narration, my family and I deeply appreciate the valiant efforts of those who fought the war so that we can have peace today. All respect to the Navy for maintaining this sacred location. For those like myself, 64, and my son, 28, both WWII history buffs, one day was not enough. Visiting this historic site was a once in a lifetime experience! Definitely a must if in Honolulu! It brought to life the history and the horror! Gratitude for those who have fought to keep peace! If you have any interest in history at all, don’t miss Pearl Harbor. The memorial is very touching, and includes a nice boat ride. We don’t understand how people advise skipping it! SOOOO much information to see, hear and read, and the audio guides truly enhanced the experience. Get them. Our docent on the Missouri was a wealth of knowledge and standing on the spot where MacArthur signed the treaty to end the war was powerful. Visiting Pearl Harbor is something that you must do when you are in Honolulu. My wife and I took the kids here to see the USS Arizona. Seeing the memorial is a moving and sober occasion, and fortunately the group we were with was all very respectful. It was a very informative trip and well worth the visit. When in Hawaii, you must do the whole Pearl Harbor experience. I loved the video you watched about the events of the day! Then when we were able to go over to the USS Arizona memorial and look down into the water. You can see the rusted metal and every couple minutes you can see oil coming up from the ship below. It’s very moving! All those men died protecting our country!! It was a very touching moment. History! This is what every person not matter what generation needs to experience. The movie sets the tone for the enormity of devastation inflicted on the US fleet. The memorial itself highlights the Arizona in a way that respects the sacrifice of so many. Everyone else has said it, but this is truly a place that cannot be missed. 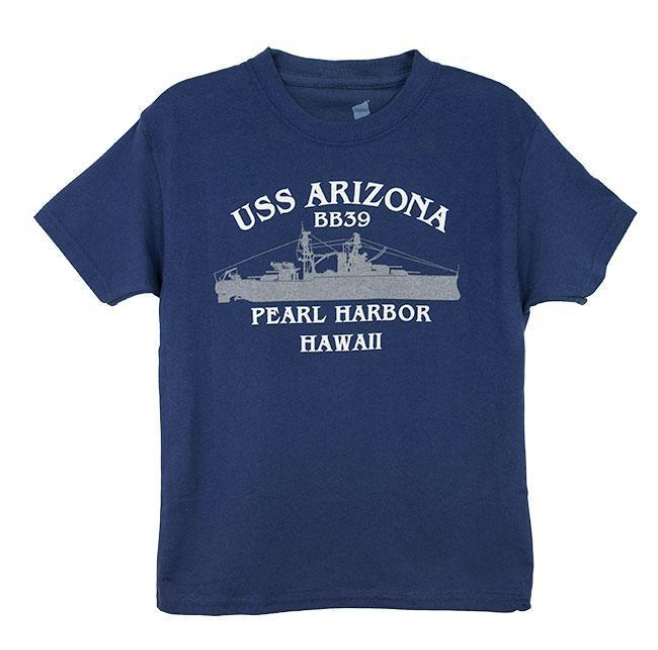 Having grown up in the 1950’s, Pearl Harbor was always a place I wanted to visit, particularly the Arizona Memorial. Memorable trip- it was set up well with lots of information and an amazing amount of memorabilia from Japan and the U.S- from the attack. The Bowfin submarine was very interesting – I recommend getting the audio. It’s a must-see if you ever go to Honolulu. Our tour guide was hilarious/well informed and the park service does a great job. The overall experience was extremely emotional. about Hawaii in general. Many men gave their life here and it is so moving to be there and learn about all that happened. Helps to appreciate life. visit Pearl Harbour at least once. Very Moving experience. by everyone from all countries. Please do yourself a favor and see this entire memorial and learn about this important part of history. No trip to Oahu would be complete without seeing this at least once. You really get a feel for the respect that Americans feel for their Military and we also got to speak to a Veteran of the war. I’m definitely not a history fan, but I enjoyed our visit to Pearl Harbour. The memorial is deeply moving, and it is really an educational experience. Well worth the visit. Put years of history in perspective. Have a better understanding of both sides of the conflict. Coming to Honolulu- it’s a must see. It’s so well done- BUT – you absolutely must do this through a tour group because you get to check out other important sites like Punchbowl Memorial and the statue of King Kamehameha the Great.